KGI Securities analyst Ming-Chi Kuo has released a new research report outlining why he's upbeat about MacBook growth in 2017. Kuo expects price cuts for both new and existing MacBooks in 2017 coupled with a refresh that adds support for 32GB RAM and more, bolstering his belief in the MacBook line next year. Kuo cites Apple's tendency to price "major-upgraded models," like the original MacBook Air and MacBook Pro, higher near the initial launch "before undergoing in price cuts in the following year" as precedent for price cuts in the second half of 2017. He also believes that the ecosystem for USB-C devices and software that takes advantage of the Touch Bar will become more mature, making it more enticing for users. Finally, Kuo expects refreshed MacBooks Pros to be launched in the second half of 2017 with support for 32GB of RAM. However, Kuo says this is dependent on whether Intel launches Cannonlake processors on time. (3) the new MacBook to be launched in 2H17 may support 32GB DRAM, eventually attracting more core users; this depends on whether or not Intel ships Cannonlake CPU on time in 2017, which features 15-25% less power consumption of LPDDR 4, versus the existing LPDDR 3. If Cannonlake doesn’t enter mass production as expected, the new models launched in 2H17 will adopt Coffee Lake, which continues to adopt LPDDR 3, and maximum DRAM support will also remain unchanged at 16GB. 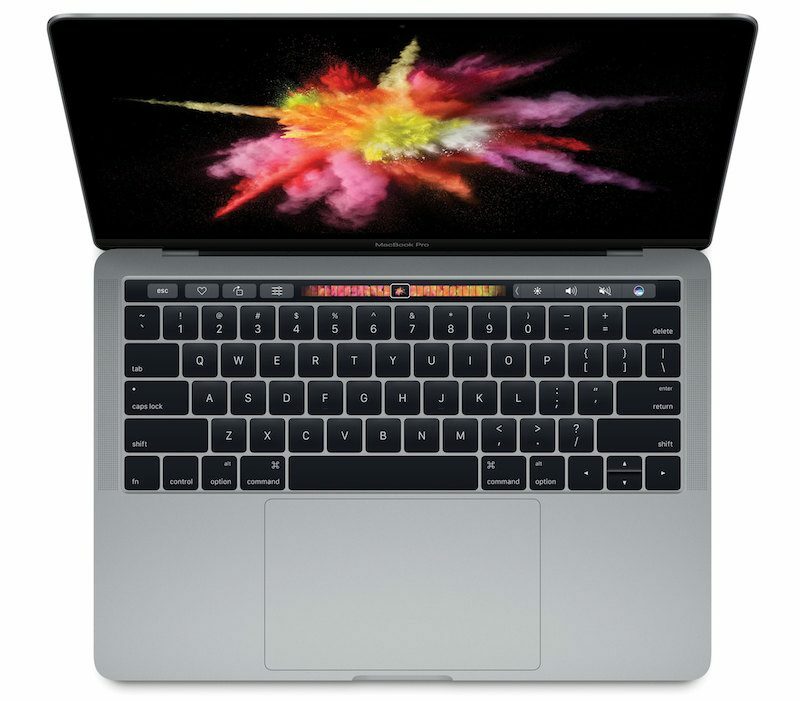 Apple marketing chief Phil Schiller, in an email to MacRumors reader David, explained that for Apple to make a notebook with support for more than 16GB of RAM, it would have to use a memory system that consumes too much power. Regarding price, Schiller said in an interview that affordability is "absolutely something we care about" but that the company designs for experience rather than price. While Kuo expects price cuts for new and existing MacBooks, like both the 12-inch MacBook and the new MacBook Pros, it's unclear whether he expects Apple to offer support for up to 32GB of RAM for the 12-inch MacBook in addition to the MacBook Pros. Update: As pointed out by Ars Technica's Andrew Cunningham and others, Kuo's outline of chip possibilities does not match up with what is known from leaked Intel roadmaps. Intel is not planning MacBook Pro-class chips in the Cannonlake family at all, and Coffee Lake chips aren't arriving until 2018. Well that was quick... will they make it thicker and add ports back? Here we go! "Why I'll wait for the next MB Pro begins!" The entry level prices for the new 13" and 15" are $500 more! For a stupid bar? When was the last time new MacBooks were so much more expensive, and then took a price cut? Never. I don't buy that the first MacBook Air is an example of anything. That was a specialty product, unlike the staple laptops that generally just get better with the same price point. 8GB RAM is like $40. But Apple charges us $200 for it - to escape being stuck at just 8GB which is not a pro level performance. Before, it don't really matter because we would just put our own RAM in, but that's not an option anymore... Tim Cook is a disappointment. Just keep waiting, just keep waiting. lol. Also it'll be a cold day in hell when Intel actually released a CPU on schedule. Who will still be paying attention to Apple in 2017 ?? Does it take being hit over the head with an overpriced Macbook to really see what is going on? Now we get price cuts, now we get 32GB of RAM? What the hell is going on at Apple? About a week ago Schiller said they don't build the MacBook for price they build it for experience. Has he changed his mind, is he now building for price and an even a poorer experience? This article isn't fact or an Apple announcement, just someone speculating what might happen if Intel stops missing their CPU timetables next year. I've already moved on. Tired of playing the waiting game.